Exmoor National Park Authority has recently completed the purchase of White Rock Cottage (the former school site) in Simonsbath. The previous owners, West Somerset Council, agreed to sell the site once it became clear that plans to develop it for affordable housing, while conserving its historic importance, were not likely to be financially viable. 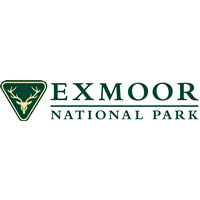 Chief Executive Dr Nigel Stone said: “The National Park decided to buy the property primarily with the objective of safeguarding the historic interest of this important site which formed part of the Knight estate and the 19th Century reclamation of Exmoor Forest. “We are already working with the Parish Council and local community and there will be a public open day on Monday 18November when we look forward to welcoming anyone who would like to help shape our thinking on the best way to conserve and utilise White Rock Cottage and other heritage sites in Simonsbath. We intend that the project should be led and managed by a local group and would be pleased to hear from anyone who would like to play a part in the development of the project. We would also like to hear from anyone who went to the school or has memories of the site in the past. A recent report on White Rock Cottage commissioned by the National Park Authority reveals the former school site was built in the early 1800’s as a ‘picturesque’ element – a cottage orné – within a designed garden landscape being developed by the Knight family. The original rustic cottage was extended in the 1850s to provide on-site staff accommodation and part converted in 1857 to use as a school within the newly established community of Simonsbath. The building has been used in the later 20th century as a research and study centre but has been closed for a considerable time. Now that the building has been acquired, the National Park will be undertaking conservation work aimed at halting the further deterioration of the building which has been exposed to the elements for some time. In order to start the process of drying out the building, a local conservation builder will be removing loose masonry and render; opening up the door and window openings and covering the whole structure with a temporary scaffolding roof. The drying process may take one or two years to complete by which time future plans will have been prepared and funding sought for the full restoration phase to begin. The event on 18th November will include a display about the area in Boeveys tea-room where refreshments will be available. Also on the 18 November the historic 19th century water-powered sawmill at Simonsbath will be open from 10am-4pm. The sawmill is owned by the National Park Authority and there will be ‘drop-in’ tours available all day. There is limited public parking at the mill so people might prefer to park at the public car park at Ashcombe, where there are toilets and walk 500 metres to the site. I am interested in the project, what time is the event at Bovey’s?